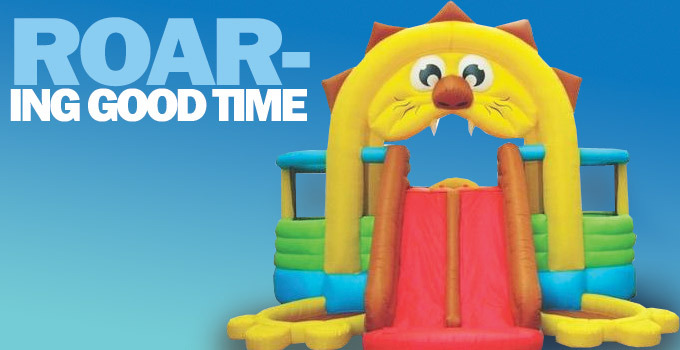 Kid Bouncer inflatable water slide, bounce house, trampoline, and outdoor fun Superstore. We have some of the best outdoor inflatable deals anywhere on the internet or in person. We also offer FAST FREE SHIPPING to anywhere in the U.S. and only $89 to Canada. At Kid Bouncer we are driven to promote healthy lifestyles for children through bouncers, trampolines and other forms of outdoor fun! 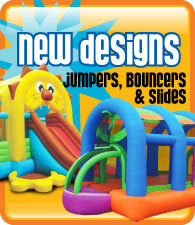 Take a look around our massive selection of jumpers, bounce houses, moonwalks, water slides, trampolines and other outdoor inflatables. Why rent a bouncer, when you could own one for the same price? We also offer a wide variety ofcommercial grade inflatables so If you're looking for commercial water slides, commercial grade bounce houses, commercial obstacle courses or advertising inflatables we also have a great selection of durable models for commercial use. Thank you for visiting and be sure to check back for seasonal and holiday special buys.